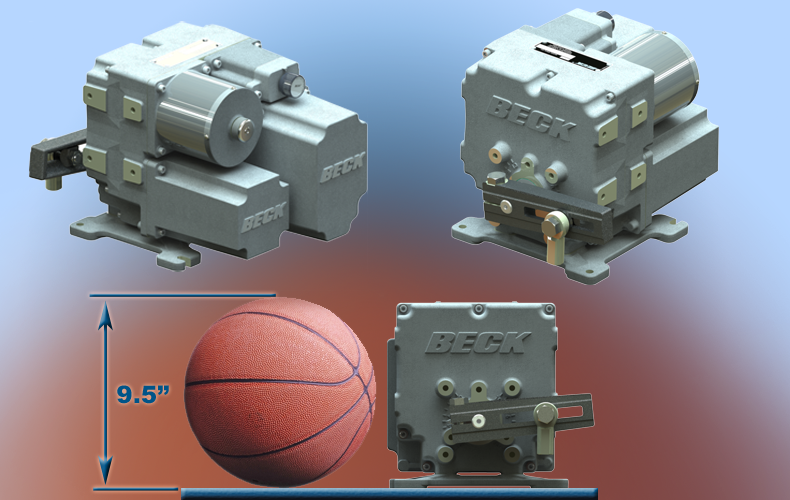 Beck’s new compact rotary actuator is an evolutionary design that combines the performance, reliability and control advantages of Beck actuators with an extremely efficient and flexible form factor. The design is smaller and lighter than the Group 11 and more robust than the Group 31. It also incorporates technologies that allow for an optional high temperature version rated for 250˚F(120˚C). This far exceeds Beck’s standard ratings of185˚F (85˚C) for the Group 11 and 150˚F for the Group31. The high temperature capabilities and efficient,flexible packaging make the Group 75 ideal for space restricted, hot environments typical of boiler windbox applications. It is also well suited to small rotary valve applications in tight spaces. The new actuator shares electronics and firmware with existing Beck products. This interchangeability of electronics keeps critical spare parts common with existing Beck actuators.It also means that all the latest Beck configuration, setup and diagnostic features are available as well.